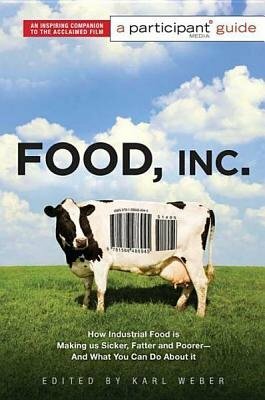 Food, Inc. is guaranteed to shake up our perceptions of what we eat. This powerful documentary deconstructing the corporate food industry in America was hailed by Entertainment Weekly as Â more than a terrific movieÂ it's an important movie." Aided by expert commentators such as Michael Pollan and Eric Schlosser, the film poses questions such as: Where has my food come from, and who has processed it? What are the giant agribusinesses and what stake do they have in maintaining the status quo of food production and consumption? How can I feed my family healthy foods affordably?Expanding on the film's themes, the book Food, Inc. will answer those questions through a series of challenging essays by leading experts and thinkers. This book will encourage those inspired by the film to learn more about the issues, and act to change the world.